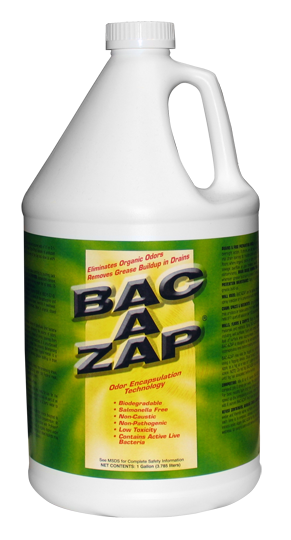 View cart “Bac-Azap® (Case of 12 Quart-Size Spray Bottle)” has been added to your cart. Deodorizers try to mask odors by using a strong scent of their own. Bac-Azap is different. It uses microbes and bacteria to attack the source of the smell, breaking down the organic matter and eliminating the odor for good.